As online buyers are increasing day by day, it is essential for every business to make a online presence. 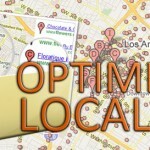 For getting more traffic to your website you need to optimize your site locally. One of the important marketing strategies is to be present wherever consumers look for services and products on the web. In short, local search optimization refers to ‘optimizing websites in order to appear for local searches’. For ex, consider the search for a florist. The user will surely search for florist who is located in the same town or area. We can say that the user will search for product/service within specific location ( i.e ) the user may use the query “Florist Berlin”. The results displayed will be the florists in and around Berlin with a map showing the location. Local search optimization processes are mainly aided with the help of local search engines, local search directories, local search advertising, local social networks & online yellow pages(Yellow pages list the businesses within specific location). There are lot of best resources available all over the Internet to submit your business. Getting listed in all those local search engines and directories is impossible, but that help your business to improve to a greater extent. Location: Providing appropriate address and other contact details is essential for local listings. In order to aid the users, Google has added the feature of street view with the local listings. In early days, one of the photos uploaded by you was shown there. With the help of street view the user can precisely understand the location. This shows the importance of providing correct business address and post code. Category Selection: You have to be very careful while selecting categories for your listings. Category selection should be accurate, more specific and based on the keywords you like to target. If the keyword is in the selected category you can expect a good ranking for your business. Claim your listing: Google by itself add local business from other data sources. You have to personalize the listing by claiming it. Claiming your business listing usually means that you are adding additional details about your business and the act of claiming can increase the ranking & help to build trust. Claiming of listing also avoid the risk of competitive hijacking. Use well optimized title: Your business listing’s title should be well optimized. Keyword oriented title will be more beneficial but be aware of stuffing keywords in title. Having main keywords in title helps you to rank in top. Off-page factor: Linking with local reference sites such as local search engines, local directories, local networking sites and data providers can boost rankings of your listing. 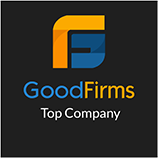 Rating & Review: Reviews from users are very much useful for local businesses. A positive review can help to bring more consumers too. Ratings you get by the users is one of the factor that Search engines like Google & Yahoo takes into account while ranking the results for searches relating to local businesses. The more the better ratings you get, the more your site’s ranking will be. Good & frequent reviews will be helpful. 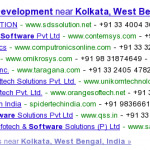 Search engines fetch reviews from third party data providers and reviews written by users. Reviews from such sites tends to carry more weightage. For ex, Google and Yahoo fetch & display reviews from insiderpages.com. User Content: User Generated Content is one which is either submitted to Google directly or crawled like other web search results. User contents are created by users or regular visitors of the website. Photos & Videos: Provide as much information you can to the users. You can make use of adding photos and videos in order to provide more information. While adding photos & videos make sure to give related tags for each of the images & videos you upload. A complete profile can yield your site a higher rank. Listed below are some of the useful resources that include local search engines, local directories and yellow pages and other such resources. Hope this list will help your website to get a wide visibility throughout the web. How Does Local SEO Has An Effect On ROI For Small Business? ‹ Google Now Super Sized!! !